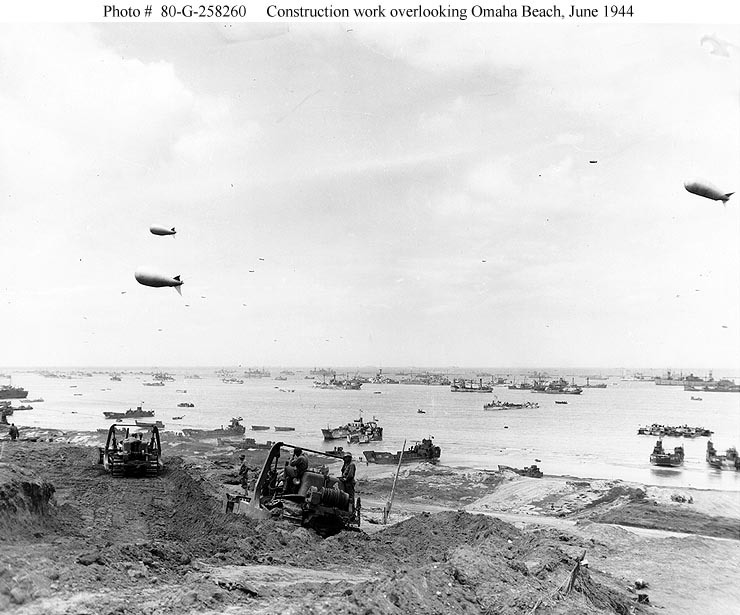 Laid down, 30 July 1942, at New York Shipbuilding Corp/, Camden, N.J.
88k View of "Omaha" Beach following emplacement of the "Gooseberry" breakwater of sunken ships, circa mid-June 1944. Construction operations are underway in the foreground, with two bulldozers at work. The old British battleship HMS Centurion, sunk as part of the breakwater, is visible in the center. 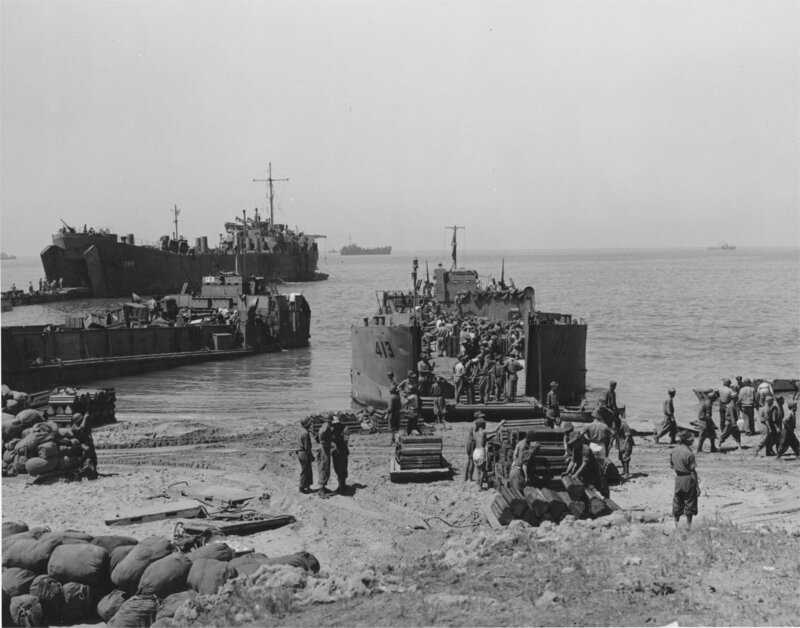 Landing craft present at or near the shoreline include (from center to left): LCT(5)-149; British LCT(A)-2043 (marked "U.S."); British LCT-1024; LCT(5)-413 and LCT(6)-611. 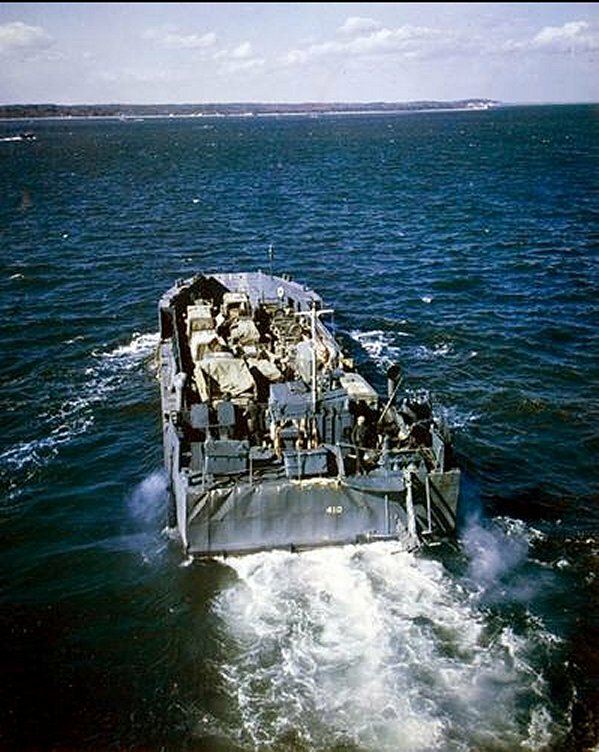 The British LCT-1024 is somewhat off shore, in the right center, headed toward the right. This view forms the left half of a panorama.